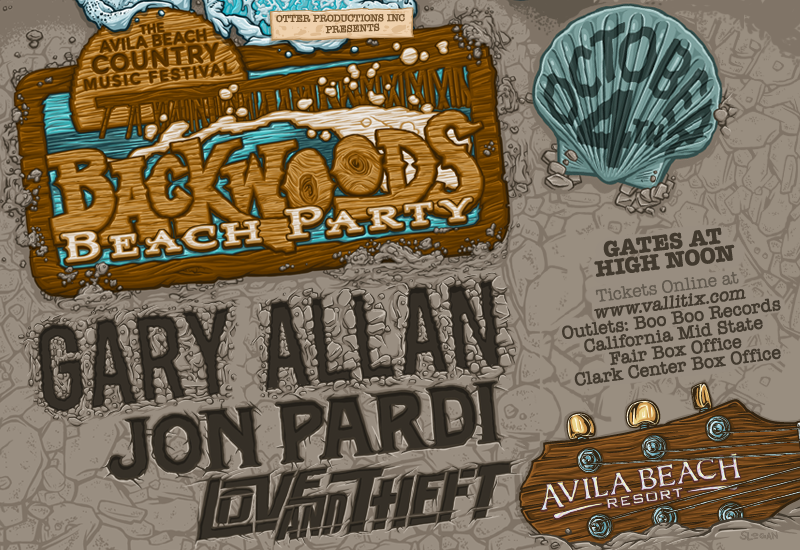 Backwoods Beach Party, the Avila Beach Country Music Festival - Otter Productions Inc. | Otter Productions Inc. Backwoods Beach Party, the Avila Beach Country Music Festival - Otter Productions Inc.
Bring your boots to the beach! This is the inaugural year for “The Backwoods Beach Party, the Avila Beach Country Music Festival” coming up on Sunday, October 4th at the premier concert venue on the Central Coast, the Avila Beach Resort! This year will feature Central Coast favorite GARY ALLAN, with JON PARDI and special guests LOVE and THEFT. With a VIP standing room only area right smack dab in front of the stage, a Reserved Table Seating area a bit further away from the stage, and the rest General Admission lawn seating, this will be an afternoon concert, gates open at noon and the show will start at 2PM and continue until sunset. In the style of any great outdoor venue, you will be able to enjoy your favorite libation (adult beverages and premium beer and wine will be available for sale), snack (upgraded concert snacks available for purchase), watch world-class entertainment under the afternoon sky with your backdrop the Pacific Ocean. 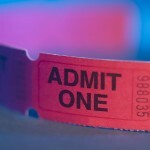 Advance Reserved and General Admission tickets will go on sale Friday, July 10th at NOON at all VALLITIX outlets including Boo Boo Records in San Luis Obispo and the California Mid-State Fair in Paso Robles; on-line at www.vallitix.com or purchase by phone at 1 888 825-5484. All Ages. 7 and under admitted free in Lawn Seating only when accompanied by paid adult, one child per one paid adult. Rain or Shine. Please no outside food or beverages. No pets. No umbrellas. Low-backed lawn chairs (2’ maximum back height) and blankets allowed in Lawn Seating only. No high-backed chairs will be allowed in venue. Paid parking available on-site. Doors are at Noon. Show starts just before 2PM. Stay tuned for day-of-show schedule. Paid Parking on the 10th Fairway. $10 per car or $5 per car if 4 or more people. No tailgating allowed. Any attendees consuming personal alcoholic beverages in the Parking Areas will not be allowed into the venue and no refund on tickets. There will be a VIP standing room only area right in front of the stage. There will be a Reserved Table Seating area a bit further away from the stage. There will also be General Admission Lawn Seating. Okay to bring blankets and low-backed chairs (less than 2’ high) into General Admission Lawn Seating area only. Blankets and Low-Backed Chairs (under 2’) will be allowed in G/A Lawn Seating only. No High-Backed Chairs will be allowed. No umbrellas. No one will be allowed into the venue prior to doors. Early comers will wait in line. First come first served. Advance VIP, Table seating and G/A tickets available at all VALLITIX outlets including Boo Boo Records in SLO and the Mid-State Fair in Paso Robles. Charge by phone at (888) 825-5484, order on-line at www.vallitix.com.